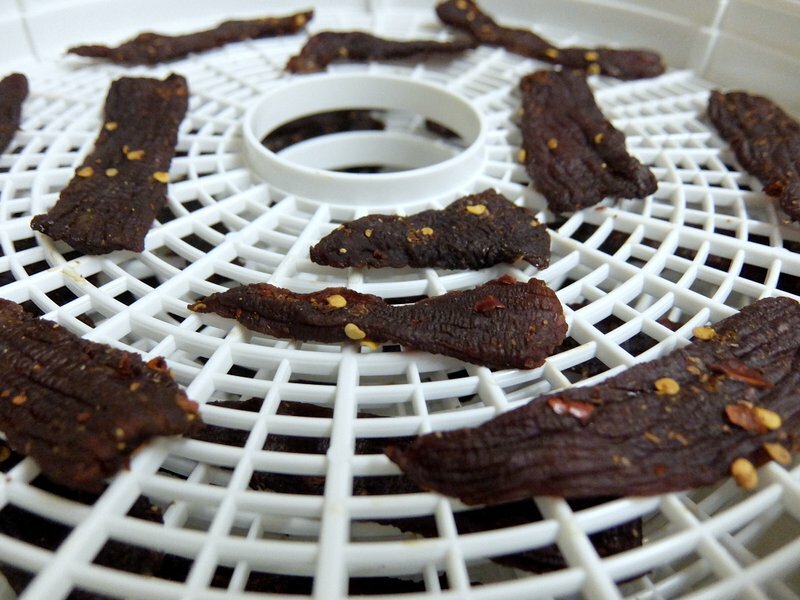 A Dehydrator is by far the simplest and most reliable way to make Jerky at home. It takes out all the guesswork and it is a simple as laying the meat out on trays and turning it on. There are some things to look out for when buying a dehydrator though. Let’s take a look at what is required from a dehydrator to make great tasting jerky. What Features Does A Dehydrator Need To Make Jerky? Dehydrators use heat and the circulation of air to evaporate moisture from food. Most dehydrators consist of a set of racks or trays that allow air to pass through them. Fans in the dehydrator draw air through the trays. Heating elements that work via thermostat apply a low heat, in most cases you can set the temperature. The heating draws moisture to the surface of the food and the air circulating evaporates the moisture. Most domestic food dehydrators work in this way, some have more advanced features and allow you to fine tune the settings. There may also be some differences in the air flow in certain dehydrators. Entry models tend to have vertical airflow whereas more expensive models may have horizontal airflow, we will look at the differences in a moment. 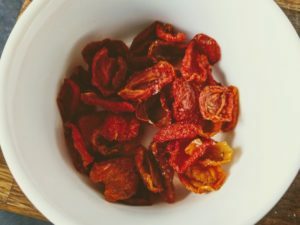 Almost every domestic food dehydrator you buy will be capable of drying meat for jerky, however, there is some important features you want to look out for when it comes to buying the right dehydrator. Let’s take a look at the most important features a dehydrator needs to make the best jerky you can. Almost all but the most basic models of dehydrator will have some temperature settings you can adjust. The temperature you dry meat at to make jerky is especially important when dehydrating. The FDA guidelines specify that the internal temperature of meat needs to reach 71°C / 160°F and poultry needs to reach an internal temperature of 73°C / 165°F when making jerky. This is the temperature where harmful bacteria in meat or poultry will be destroyed. Once the internal temperature to make the jerky safe has been reached the temperature setting can be lowered to 60°C / 140°F or higher for the rest of the drying should you wish. A temperature probe as a great addition to your dehydrator to ensure you hit the all important temperature. When shopping for a dehydrator to make jerky it is important to specify that the dehydrator will, in fact, reach this safe temperature of 71°C / 160°F. If it does not then you will need to first put the jerky in the oven to heat up to this temperature before placing the meat in the dehydrator to fully dry. This is a cumbersome and time consuming step that is not really necessary if you buy the right dehydrator. The two most common designs for dehydrators will have the air flow from either the top or bottom or front to back. In other words the placement of the fans in the dehydrator could control the airflow vertically or if horizontally. If the airflow is vertical the fans will be mounted either at the top of the dehydrator or at the bottom of the racks. These models tend to be the least expensive as they are not quite as efficient as horizontal airflow dehydrators. Vertical airflow dehydrators are considered less efficient because as the circulation of air runs through the racks and not along them the meat or jerky furthest from the fan have less airflow. This is not something you are likely to notice and some people suggest rotating the racks but I have not found this to be necessary. The benefits of a vertical airflow dehydrator is they usually have a smaller footprint. Horizontal airflow means the fans are usually placed at the rear of the dehydrator. This means that each rack or tray on the dehydrator will get the same level of air circulation ensuring all the jerky will dry evenly. The popular Excalibur range of dehydrators feature lots of models which have horizontal airflow. The horizontal airflow means you are less likely to need to rotate racks as their should be an equal amount of air flowing over each layer of jerky. An added benefit of trays in a dehydrator with fans at the back is that it is easier to check each tray as they usually just slide out like a drawer. Whereas stacking trays need to be unstacked one by one, pulling a tray out is an added convenience. 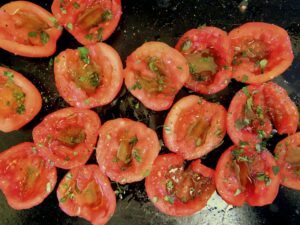 Most dehydrators use racks or trays. When shopping for a good dehydrator to make jerky you want to make sure you can fit the amount you want to make into it. Dehydrating meat is a long process and the end result, the jerky, lasts quite a while so it makes sense to make a fair amount in one go. You also need to consider that jerky is considerably smaller and lighter than the meat that makes it. A kilo of beef round, for example, will make around 400 – 500 grams of jerky. That is a ratio or roughly 2:1. Making sure there is enough space in a dehydrator is usually a case of measuring the size of each rack or tray as well as how many racks the dehydrator has. Some dehydrators allow you to add more racks later on so in a sense they are expandable so this is something to consider. There is no doubt about it, dehydrator tend to be quite loud. They use fans and airflow through grills to dehydrate jerky and this tends to be noisy. Most dehydrators list how loud they are in their specifications. Generally speaking the more expensive models have better soundproofing and if noise levels are a factor for you then check the decibel level on the dehydrators you are looking at. There is no getting away from it thought that every dehydrator will make some level of noise, it is just some will be louder than others. Out of all the features listed above the most important one is the temperature control and ensuring that when you make Jerky it reaches that important figure of 71°C / 160°F for meat and 73°C / 165°F for poultry. 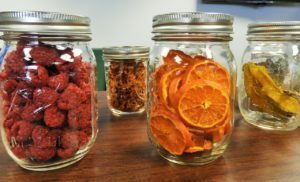 This makes the jerky safe and although it can easily be achieved in an oven it is much more convenient and easier to do this with a dehydrator. It should be said that nearly all dehydrators on the market will be capable of making jerky so really what you are paying for is the features like noise levels and efficiency. Generally speaking the more expensive the dehydrator the more efficient it is going to be. 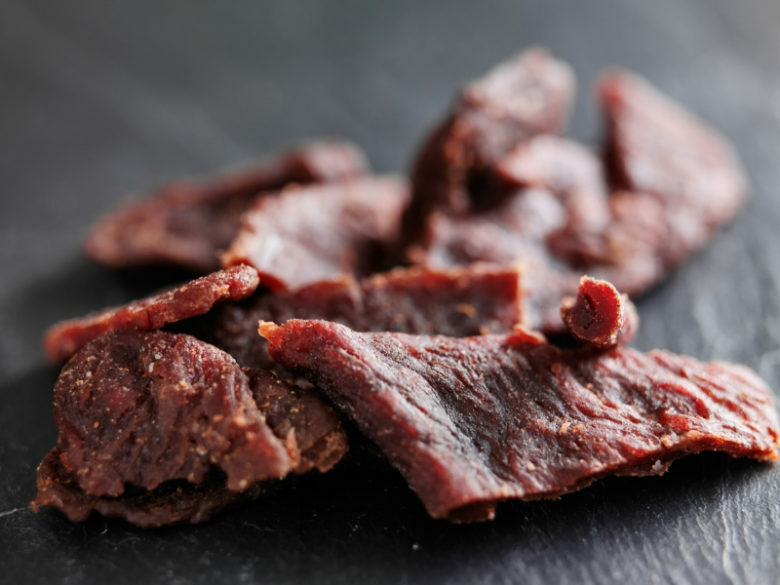 If you want to make your own jerky then take a look at this guide for a really simple recipe that is easy to make in a dehydrator.